Medical Reference: The McDowell Public Library has an extensive collection of older medical reference materials thanks to the generous donations of local doctors and the old Steven's Clinic Hospital. 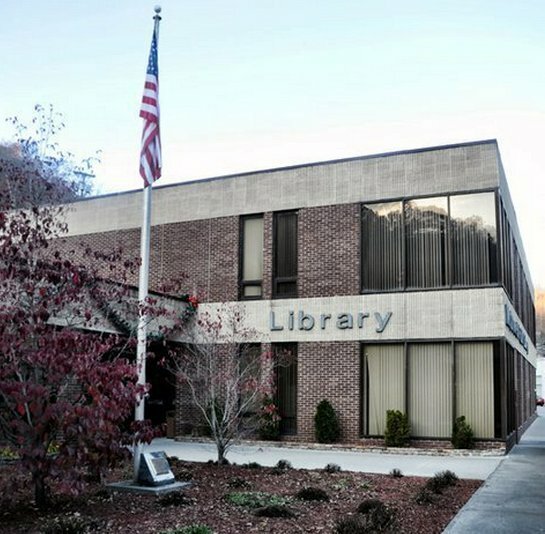 West Virginia History: The McDowell Public Library also has a West Virginia room in the main library. The WV room contains books on general West Virginia reference materials, books by local authors as well as authors from all over the state, census information, local history, & some family history. Law Reference: The McDowell Public Library has a collection of law books pertaining to West Virginia and surrounding states. Internet - The McDowell Public Library and its branches provide computer access. In order to use a computer at the library you must have a library card, be at least 18, and if under the age of 18, must have a parental permission slip on file with the library. Time is limited to 30 minutes per session to allow all patrons the chance to use this service. The McDowell Public Library is not responsible for any material on the Internet. Fax - Faxing is available at the library. The charge for an outgoing fax is $2.00 for the first page and $1.00 for each additional page. Photocopying - Photocopying at the library is $.25 a page. Laminating - Laminating costs vary depending on the size of the article that will be laminated. Inter-Library Loans & Special Requests - If the McDowell Public Library or its branches does not have what you need, it is possible that the item could be ordered from the West Virginia Library Commission or another library in the state. The charge for this service is $2.50 to cover postage. If the postage cost is greater than $2.50, the charge is the postage cost. Microfiche - The McDowell Public Library has on microfiche the Welch Daily News from the first issue of the paper until the present. Also the library has census information on microfiche for the 1800's and 1900's for several counties. Civil Service - Civil Service tests are given at the McDowell Public Library every Tuesday starting at 10:00. In order to take the civil service test, the person should arrive at the library no later than 9:30 with a completed application and a picture ID. Applications may be picked up at the library during normal business hours or at Welch Job Service. Anyone interested in taking the civil service test can contact the library. The Book Club - The Book Club is made from members of the community. They meet each month to choose the book they want to read for the next meeting and to discuss the previous book read. After the meeting, a recommendation is made in the local newspaper as to whether the book club found the book enjoyable or not. Persons interested in joining the Book Club may call the Library at 436-3070. Computer Class - The library staff offers individual computer training to the public. Those who are interested may call the library to set up an appointment schedule for classes at 436-3070.